If any band in Vancouver puts the “fun” in “fundamental human rights,” it has to be Jock Tears. The band’s self-description as “sweet, mean, and everything in between” has proven to fit them nicely over the two-or-so years that they’ve been together. All that time, the group has stayed consistent with their approach to writing honestly about misogyny, funny stories from their lives, and the ever-present theme of making mistakes and laughing loudly and publicly at them. Those who’ve seen Jock Tears live know that, on stage, they’re all smiles. Lauren Smith beams from behind her bass, often breaking into laughter after playing the last note of one of their brief but bold songs. Dustin Bromley beats the hell out of his drums and Spencer Hargreaves thrashes with his guitar while a singing Lauren Ray tumbles, somersaults, and jumps around the room. She’s even been known to stage dive and climb up the sides of the venue, building permitting. This unruly energy is part of what makes Jock Tears so fun, and the vulnerability it requires of its members helps them stand out from the herd. Smith, Ray, Hargreaves, and Bromley have ditched the hard-as-nails persona expected of punks in exchange for unashamed, unadulterated, down-to-earth sensitivity. They’re not afraid to be silly and real with a crowd or to shout about how sexism affects them through energetic, experience-fuelled punk. Ray’s lyrics get straight to the point, with lines like “I’m really not trying to hear / You call me a sweetheart” and “Life’s a beach and then you die / What is it with all these guys?” Her words are scrappy, blunt, and meant to be relatable rather than inherently political. 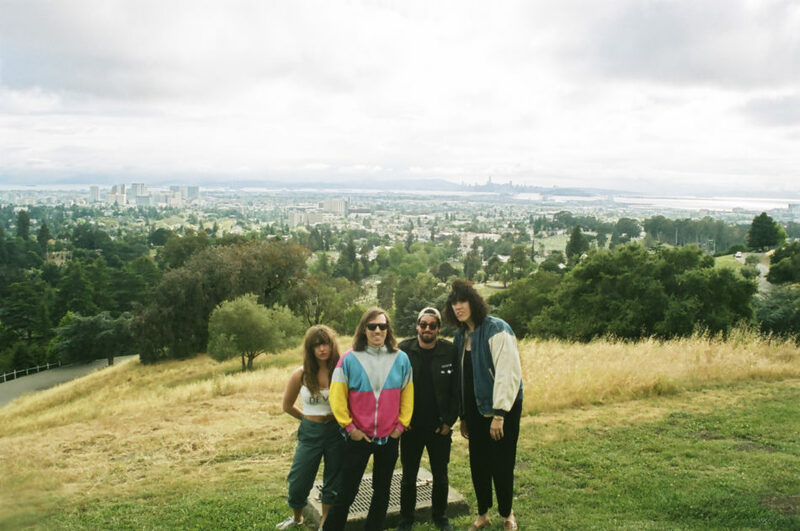 Jock Tears barrels through their two-minute songs, through everyday struggles against sexism, and through the expectations of what a so-called feminist band ought and ought not to be. With the release of their latest record, bad boys, the group is preparing to embark on a tour with Adrian Teacher and the Subs that will take them through Texas and California this March.